An accurate, heavy-duty range of rotary stages which allows precise rotary positioning of objects by stepping or servo motor control. A precision worm and wheel with a 90:1 gear ratio provides repeatable, zero-backlash positioning with high load capacity. A magnetic Datum switch is included. Stepping or servo motor control with a rear- mounted encoder ensures accurate indexing. All connections are made through a secure QM 19 way connector. 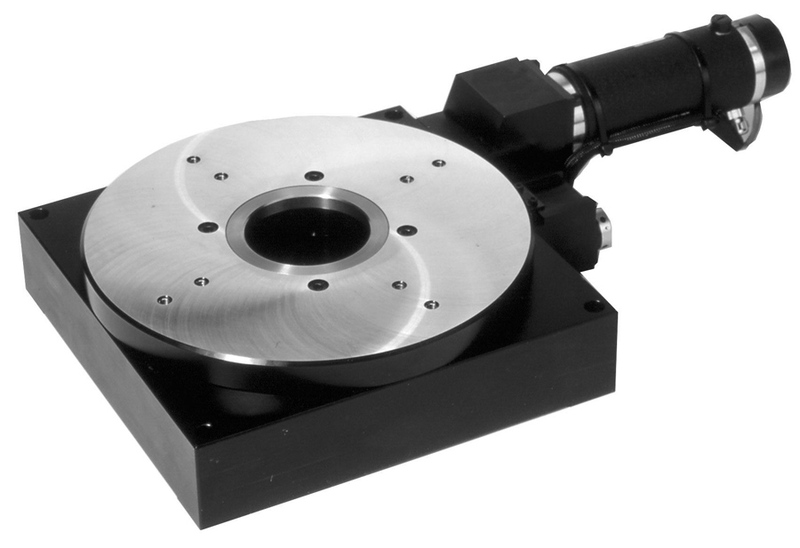 A through-hole feature is standard on all Series 5000 rotary stages.